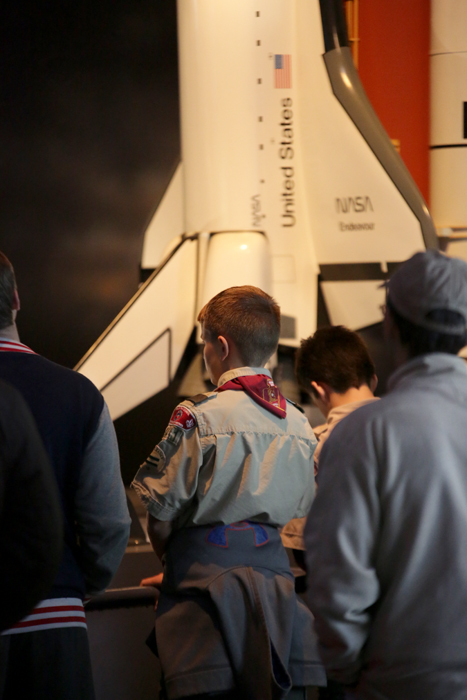 Space Center Houston engages Scouts in an interactive and hands-on learning environment. Scouts will have an enriched experience in our Camp-In that teaches young boys about the science, technology, engineering and mathematics involved with space exploration. Each camp-in is tailored to the individual ages of the Scouts. 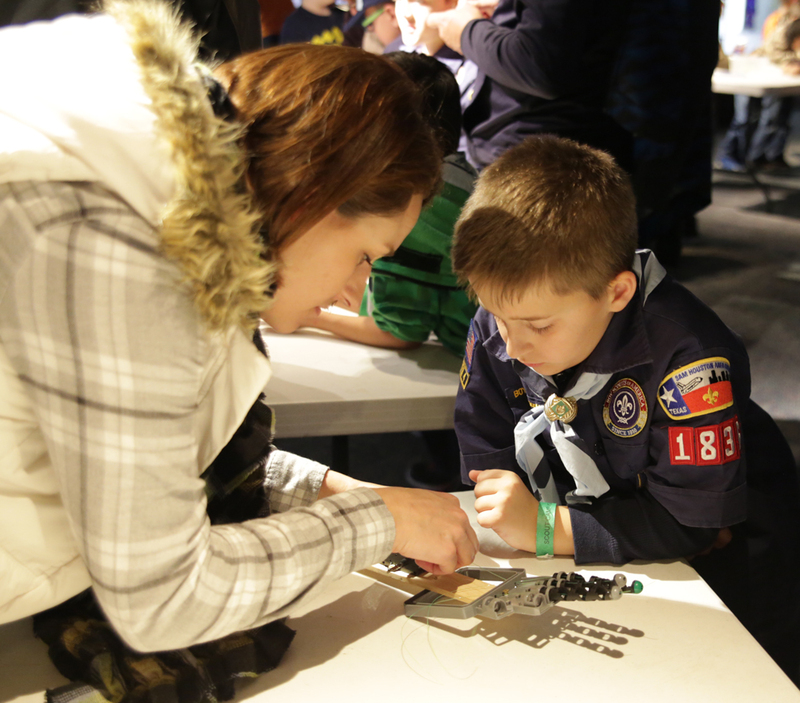 The activities are badge-inspired, STEM-based and all about space! 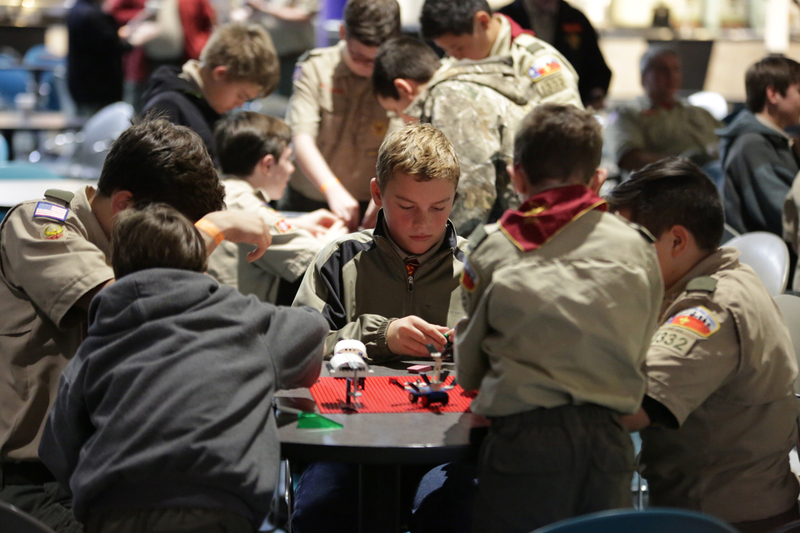 Come experience Space Center Houston’s Boy Scout Camp-In activities. Immerse yourself in a setting where your imagination can take flight as you design, build, create, program and launch into a new world of opportunity and exploration. 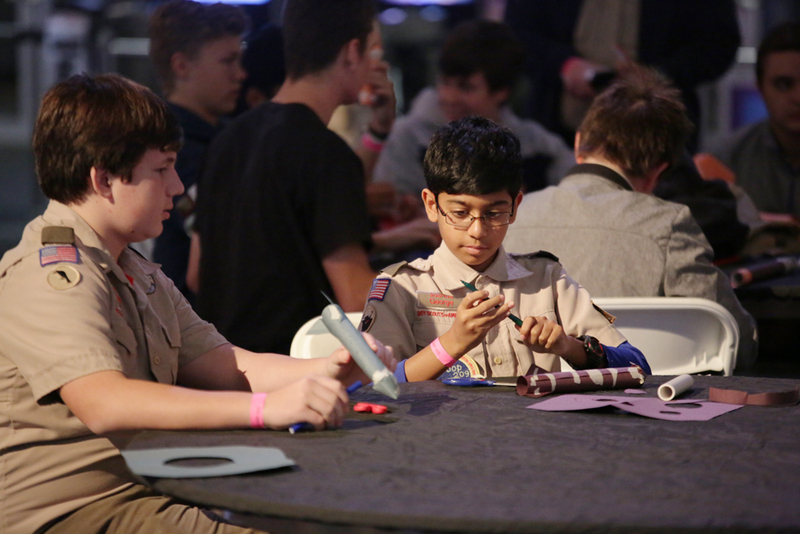 Demonstrate Boy Scout leadership skills as you work with your peers to solve the real-world problems NASA often encounters. How can you make an astronaut’s job easier? How do you program a robot? How do you plan an astronaut rescue mission on Mars? Get ready to launch into an incredible experience in our Boy Scout Camp-Ins. Explore all of our Camp-In options below. Explore Starship Gallery and the early human space flight missions. Learn how rockets work with Newton’s Laws while designing and building an air-rocket to launch. Design a base on mars that can sustain human life and will return samples of the surface to earth. Inspiration: Watch a documentary about NASA and space exploration in our large screen theater. Robotics challenge roving on Mars: Program a rover and transport materials across the Martian surface to supply an outpost. Star gazing: Look at the stars, moon and planets through telescopes and take home your own pinhole planetarium. Build and launch a model rocket: Each Scout will build a rocket to take home. Space Center Houston will conduct a rocket launch at the end of the night. 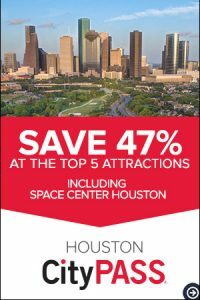 Explore a science learning center: Your second day will include a private tram tour of NASA Johnson Space Center and general admission to Space Center Houston. Build a “Stomp Rocket” and watch it launch, make adjustments to fly higher. Design Your Own Robot: Design and build a robot that can make your own life easier, from cleaning your room to walking your dog or even cooking dinner! Range Rovers: NASA has sent many rovers to Mars – now it’s your turn! Learn how to program your own rover to explore the Martian terrain. Build and launch a rocket. Watch live experiments about rocket fuel. *Please note that campers work toward badge or award requirements in our Scout Camp-In. Space Center Houston Camp-In instructors are NOT certified merit badge counselors and are not able to sign Blue Cards. Space Center Houston DOES NOT provide merit badge worksheets. Clothing should be comfortable. Casual clothes and good walking shoes are recommended. Scout uniforms may be worn on the night of the camp or the next day. Typically, about half of the troops and packs wear their uniforms and half wear troop or pack T-shirts or other casual clothes. Remember to bring a jacket or sweater no matter what time of year you are coming. Medical forms for every scout and adult are required to be brought to the Camp-In. The troop/pack leader should have them readily available if needed for an emergency. Please keep in mind that you will be sleeping with other troops and packs and we ask that you show the same courtesy and respect to them that you would like them to show you. Think of it as an indoor-camping trip and the camp site, just like in the forest, has a few rules so that everyone has a safe and enjoyable time. Only registered scouts and their leaders/chaperones attend a Camp-In. Chaperones are not permitted to bring any children who are not registered or who do not meet the designated age level or gender requirements for a camp-in. Adding Additional Scouts or Adults to Your Reservation? If you need to add more scouts or adults to your reservation, please call Reservations at +1 281-283-4755. If you have any allergies to food, you can view the current menu and list of ingredients that will be offered during the Camp-In, on our website at any time. If you need to bring your own food, you may do so. 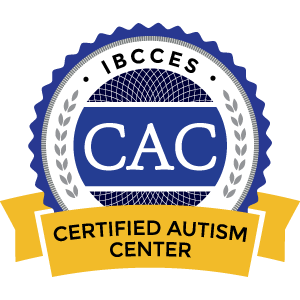 Our Instructors and Camp-In staff will not administer any medication to anyone. If a child is bringing prescription medicine that needs to be taken during the camp, then either their parent/guardian or troop/pack leader must administer it to them. The troop/pack leader needs to have all of the medical forms for every scout and parent readily available in case of an emergency. Cancellations to your reservations may be made up until 6 weeks before the date of your Camp-In. Refunds will only be given up until 6 weeks before the date of your Camp-In. If your camp is less than 6 weeks away and you are not able to attend, you can reschedule individuals or your entire group and apply your ticket(s) to another Camp-In. If Space Center Houston cancels your camp due to bad weather or other unforeseen circumstances, we will either refund you or you can apply your tickets to another Camp-In date. Rescheduling your Camp-In date can be done by calling Reservations at +1 281-283-4755. Please note that all dates are subject to availability. Traffic can be an issue, even on a Saturday so make sure you give yourself plenty of time to travel. If you are crossing through downtown Houston, it is generally better to take the 610 loop instead of I-45 through that area. If your troop/pack is traveling in separate vehicles, make sure all drivers have a way to contact each other. Everyone must be present from your troop or pack in order to check in. I-45 usually has road construction south of Beltway 8. Beltway 8 is a toll road. Remember to search for Space Center Houston and not NASA or Johnson Space Center on your GPS. We are located across the street from NASA. Bad Weather Camp-Ins are not cancelled for bad weather unless all of Space Center Houston is closed. This only occurs in extreme, severe storms. No refunds will be given as long as the Camp-In has not been canceled. However, you may reschedule your visit any time. You will be notified if the Camp-In is canceled. Check-in is at 5 p.m.
Tell the Space Center Houston Crew Member at the parking toll booth that you are here for the Camp-In. Parking is free for you and anyone else who is staying for the Camp-In or dropping off and picking up. The gate will be open early in the morning for anyone joining you on the second day. Once everyone from your party has arrived, the leader can go up and check-in with our staff. You will receive a welcome packet with a wrist band for everyone in your group as well as the itinerary for the evening, coupons for the gift store and badge requirements met and a few other goodies. The Camp-In staff member will then explain everything you need to know and check-you in. Know how many scouts you have and how many adults you have altogether. They will also tell you when to bring in your luggage. If you are being dropped off, you can either store your luggage in another vehicle from your group or ask the Camp-In staff member for assistance. Your entire group must be present in order to check-in and enter the center. If you think that part of your group will not arrive before dinner starts, then please notify the Camp-In staff. You will be given a list of all of the badge requirements your scouts will be earning upon check-in. You can also view them on our website. Some scouts earn an entire badge or adventure loop in a night, while others earn most requirements but not all. It depends on the camp type as to whether or not they complete all the requirements. For questions please contact the Program Coordinator, at campins@spacecenter.org. Our Instructors cannot sign Blue Cards because they are not certified merit badge counselors. It is up to you to show your Space Exploration Merit Badge counselor the badge requirements met. Boy Scouts complete most but not all of their badge requirements for the Space Exploration Merit Badge during the Camp-In. They will need to complete the rest in order to earn their full badge and get their Blue Card signed off. We do not provide any physical badges for the scouts, including the make your own badge for Girl Scouts. Free time to explore the center – limitations apply. Movies, shows, simulators and Independence Plaza are off limits. You can experience these attractions on your second day. This is so that no one misses dinner and we don’t lose you. There is plenty to see in the exhibit area during this time. Both meals will be served, “buffet style”, with one serving per person. Seconds will be offered after everyone has been served. Menus include vegetarian and gluten free options. See current menu on our website. Snack time happens during the second activity of the evening. We offer a beverage and snack to everyone. Luggage is brought in at different times depending on what camp type you are attending and when the center closes. You will be told when to bring in luggage at check-in. Camp sites are assigned at random by troop/pack and are based on capacity and group size. Changing and getting ready for bed happens in the bathrooms. For Girl Scouts and American Heritage Girls, men will be required to sleep in a separate area. After lights-out, it is up to you to keep your group quiet and settled. If a scout needs to go to the bathroom, our policy is that one adult must go with them. They cannot go without an adult. There will be a Welcome Show after dinner to go over the plan for the evening, rules and introduce the Instructors. Midway through the show, the scouts are dismissed into their groups with their Instructors and go to their first activity. The adults stay behind for an adult briefing and then rejoin the scouts. Important information is covered that you will need to know during the remainder of the Camp-In. Our policy at Space Center Houston is that a scout is never left alone. They are either with one of our Instructors, another scout or a troop/pack leader or parent. We ask them to find a “Space Buddy” (another scout) during the Welcome Show and they are supposed to stay together during the activity portion of the night. We understand that scouting organizations may have a different policy when it comes to how many adults must be with a scout at all times. Please feel free to abide by your organization’s policies. We understand and respect that you may require two adults from your troop or pack to go with the groups when they are dismissed and that is completely acceptable. We just need most of the adults in the adult briefing portion of the Welcome Show. Camp T-shirts, patches and Day 2 Only Tickets will be available for pick up and/or purchase after the Welcome Show. The Camp-In staff member leading the Welcome Show will dismiss you by group to go to the T-Shirt counter. If you preorder your shirts and patches you will receive them the night of the Camp-In. We no longer mail them before the Camp-In. The activity portion of the evening is meant to be a fun and educational experience for the scouts. One badge/ adventure loop has been chosen for the scouts that evening to work on, which is advertised on our website. We chose the most space related badges available from each organization, however some lend themselves more to space science than others. Our Instructors will relate the activities to space as much as they can. All activities are either science or space related. Your scout will be assigned to a group of about 20-30 other scouts. They will not be separated from their troop or pack unless the troop or pack has more than 30 scouts. You will also be assigned to the same group as your scouts. Groups will rotate around the center, doing each activity at a different location. Some activities are hands-on while others are tours or interactive demos. Your role as a troop or pack leader and parent is very important during the Camp-In. The activities are designed for you to participate with your scouts and enjoy this unique experience together. Please participate in the activities with your scouts and help them make memories that will last for a life time! Instructors are going to rely on you to participate and be a part of the activities. They will interact with you as well and will get you involved so “be prepared”. The Instructors also need your help with maintaining discipline and attention of the scouts. We will have a refreshment area for you where there will be coffee, soda and hot and cold water available to you throughout the evening. Camp-ins are designed as a special night for scouts and their parents/leaders only. If any friends or other family members would like to join you for your second day, you can purchase a discounted second day ticket for $12.95 for them the night of your camp-in. Tell your guests to arrive by 10 a.m. to join you for the second day. Orange juice, apple juice or water for scouts. Coffee, soda and hot water will be available for adults only. *Please note menus are subject to change. Check back the week of your camp-In for any changes. To register for an overnight experience or to change your order, please contact Reservations at +1 281-283-4755 or reservations@spacecenter.org. For any questions regarding the program please contact the program coordinator at +1 281-244-2131 or campins@spacecenter.org. Space Center Houston has opened its facility for an educational overnight experience. The Educational Programs Crew has developed a program that allows campers to utilize Space Center Houston to fulfill camp/badge requirements. Will we tour Space Center Houston? No, this overnight experience is not a guided tour of the facility. We use the atmosphere and the various attractions/exhibits that correlate with the theme of the evening. Because so many activities are packed into a camp-in, the counselors keep a tight schedule. Free time and gift shop time are incorporated into your next day visit. A next day visit is included in the registration fees. Second day tickets will not be replaced if lost. What exactly are my campers paying for? An awesome experience, of course! 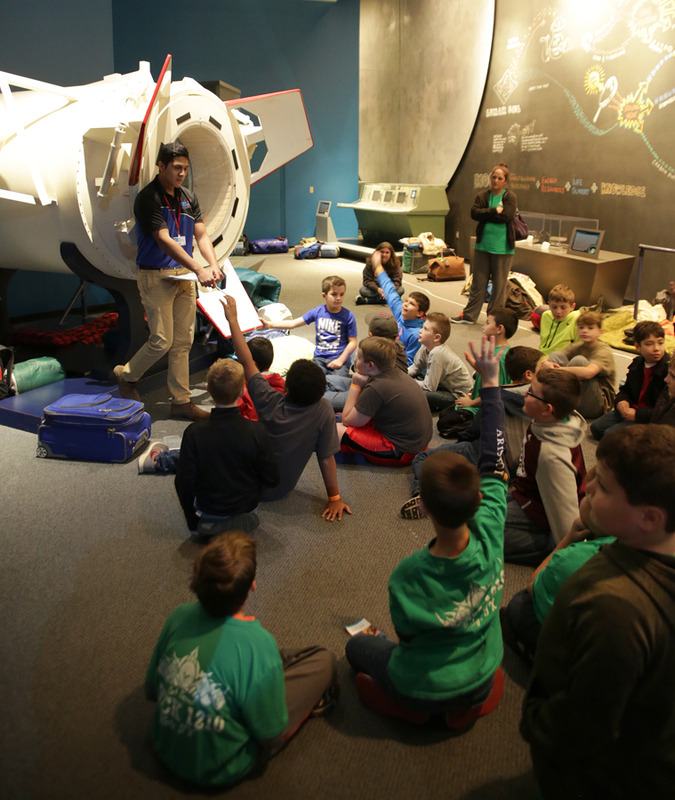 Many would love the opportunity to “spend the night” at Space Center Houston, but we currently only reserve this experience for the American Heritage Girls, Boy Scouts, Cub Scouts, and Girl Scouts. We do offer Family Camp-Outs throughout the year available to public. Not only do the campers work on their badge requirements, but they experience activities not available to the general public. Because we are a not-for-profit organization, Educational Programs must support their own efforts. Costs incurred during a typical camp-in include: reserving the facility for the entire evening, materials, food and staff. Only registered scouts and their leaders/chaperones attend a Camp-In. Any friends or family members are welcome to join the scouts on the second day. Second day tickets may be purchased the night of the event at a discounted rate. Chaperones are not permitted to bring any children who are not registered or who do not meet the designated age level or gender requirements for a camp-in. We offer Family Camp-Outs throughout the year available to the public. What are a leader/chaperone responsibilities during a camp-in? Whose responsibility is it to purchase badges for the camp-in? Because campers are from various organizations, it is the leader’s responsibility to purchase badges from a scout store. As a leader, it is your discretion as to how you want to award badges to your campers. Space Center Houston does have a camp patch available the night of the camp for $7 each.